Because of our growing audience, with 9500 views in 8 months, we have taken out the website www.proxiblog.org. We are using “org” rather than “com” because the former represents a non-profit organization. We get no monetary reimbursement for publishing Proxiblog. We do ask viewers to consider donating to our scholarship fund. By the way, you do not have to change your browser settings to access Proxiblog. You can use your old setting of http://www.proxiblog.wordpress.com. 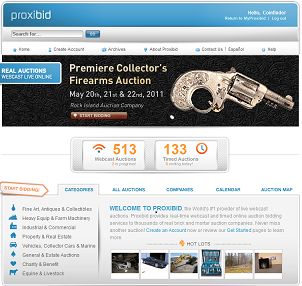 Click that link, and you should arrive an http://www.proxiblog.com. We are committed to lowering tuition for college students whose student loans now exceed the credit card debt in this country. See this article for details. In closing we thank auctioneers who have donated scholarship money and hope others who find the site helpful also will give what they can afford. Thank you. This entry was posted in News and tagged American Numismatic Association, Auctioneers, Coin Auction, iCollector, National Auctioneer Association, Proxibid, Proxiblog. Bookmark the permalink. ← Auctioneer Advisory: Fakes are on their way!